Why are dental exams and cleaning your teeth so important? Learn about dental exams and teeth cleanings in Edmonton at Today's Dental. A preventive program is a cooperative effort by the patient, dentist, and dental team to preserve the natural dentition and supporting structures by preventing the onset, progress, and recurrence of dental diseases and conditions. Preventing dental disease starts at home with good oral hygiene and a balanced diet. It is continued in the dental office by the efforts of your dentist and dental hygienist to promote, restore, and maintain your oral health. Prevention also includes regular dental exams, cleanings, and x-rays. Sealants and fluoride are also great preventive treatments that help protect the teeth. Prevention helps avoid serious and costly dental problems and is the key to having a healthy smile. A comprehensive dental exam will be performed by your dentist at your initial dental visit. TMJ & Bite Evaluation: we examine muscles of the head and neck, jaw movements and the TMJ joint. We also check how the teeth fit together in the bite. Sleep Apnea Screening: we screen all our patients for possible sleep apnea and recommend appropriate action. Digital Photographs: we take digital photographs of the mouth and teeth, so we can show you what we see, and explain the findings of the dental examination so you can understand the issues, if any. Professional dental cleanings (dental prophylaxis) are usually performed by Registered Dental Hygienists. Removal of plaque: plaque is a sticky, almost invisible film that forms on the teeth. It is a growing colony of living bacteria, food debris, and saliva. The bacteria produce toxins (poisons) that inflame the gums. This inflammation may indicate the start of periodontal disease. Periodontal Pocket Measurements: we measure the periodontal pockets at each tooth to evaluate gums and bone health. At Today's Dental, we put our patients first, with quality dental care and a friendly, relaxing office environment. 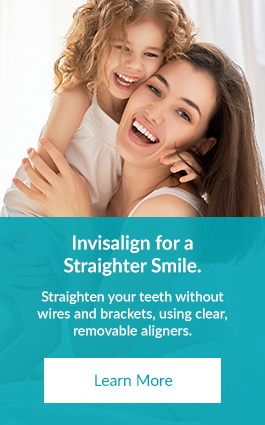 We look forward to welcoming your family to our practice! A reason to smile, today and everyday.